"When sea-trout fishing, be it day or night, the one thing I loathe is protruding net components. You are constantly faced with the frustrating scenario of the fly line getting caught and trapped around the main shaft of the net, which more often than not leads to casts falling short or worse; lost fish in that moment of line clearing, where you are worrying and concentrating on untangling the running line from the net, rather than where the fish is heading. 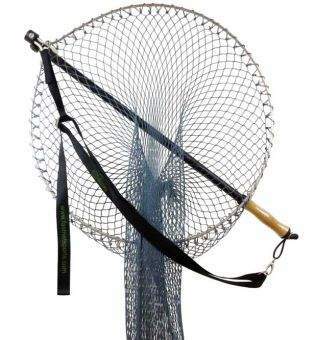 I then stumbled across the Fastnet Superior Telescopic Folding Sea Trout Grilse Landing Net. This is the cure! And one that I have been searching for for a long time, with the past options always falling short of expectations. Not only is the net strong yet light, comfortable yet practical, the line never gets caught around the base, as there are no protruding components. Suberb! This is my go-to-net and I would highly recommend it." PLEASE NOTE THE GREEN LARGE MESH NET BAG IS NO LONGER AVAILABLE. 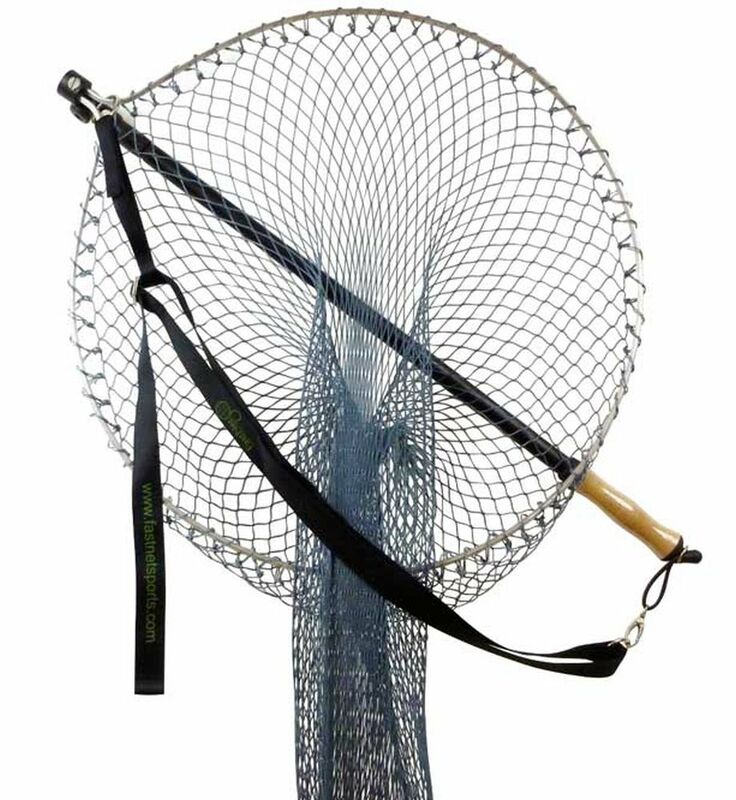 THE NET FRAME WILL COME FITTED WITH A BLACK, SHAKE DRY, FISH FRIENDLY, KNOTLESS, PAN STYLE MESH NET BAG.